India is the country which is filled with the exotic tourist destinations. Starting from the north to the south and stretching from the east to the west, there is no dearth of the tourist attractions in India. It is the country which is blessed with nature’s scenic beauty. Thus, if you are planning holidays you can go anywhere in India. Particularly this year you can plan to go Kerala. It is one of the most exotic tourist destinations in India for the families and the couples. Kerala is located in the southern part of the country on the western coast. It is blessed with the lush and unspoiled beauty and culture of the state. Kerala can be visited throughout the year. This place is neither too hot nor too cold which makes it perfect for the holidays. Generally, winters are known as the peak season for the tourists in Kerala. During winters, the weather is pleasant for spending your holidays. There are prominent airlines and railway network in Kerala which connects major as well as small cities, thus, travelers will have no problem reaching there. You can also take help from the travel planners like makemytrip to organize your trip to Kerala pretty well. Travel companies offer various travel packages for the travelers. Visitors can use Makemytrip flight coupons to get high discounts on the flight booking. Similar coupons can also be used for booking hotels in Kerala. 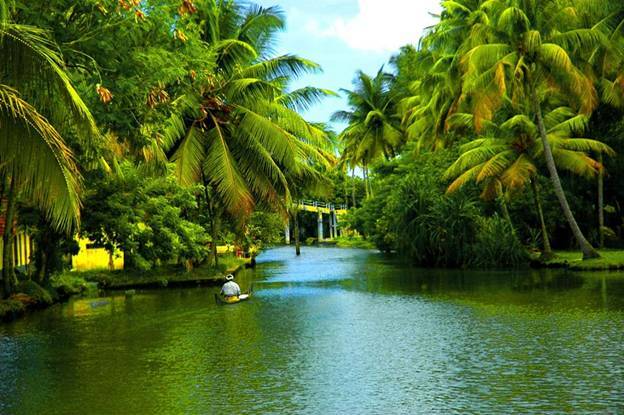 Backwater lakes are the most eye catchy sites in Kerala. The exotic ride on the houseboats always comes on the top thing to do in Kerala. Houseboat vacations gives an opportunity to the visitors to cherish the landscape beauties like fishing with net, paddy areas which are below water level and many more. There are many architectural sites in Kerala like Shri Krishna Temple, Shi Padmanabha Swamy temple Chettikulangara Bhagwathy Temple and many more. In Bekal, there is a fort which is in the shape of key and surrounded by sea. If you are a tea lover, then you can’t resist visiting Munnar. The teas grown in Munnar are known for their exotic aroma and taste. You can also see the spice gardens in Munnar where various spices like pepper, cardamom, cinnamon etc are grown. In Kovalam, there is a beach in the shape of crescent moon which is known as the place for relaxing in sun and exotics massage centers. Mermaid statue and Napier museum are popular in Thiruvanantapuram. In Kerala, there are lots of things to do. You can enjoy living the life of village and walking in the slow pace life. You can enjoy houseboat ride, living in the tree house, taste delicious south Indian cuisines, trekking and many more in Kerala. Travel company Musafir coupons special packages for the honeymoon trips so that the visitors can enjoy the trouble free holidays in Kerala.